4 Bedroom Detached House For Sale in Crewe for Asking Price £260,000. 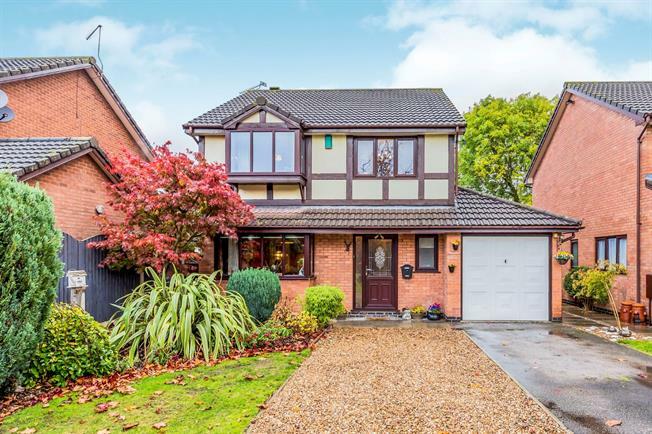 This beautifully presented detached home offers deceptively spacious accommodation, viewing is essential to appreciate the tastefully decorated accommodation that comprises entrance hall, downstairs WC, lounge, dining room, study, conservatory, and a modern fitted breakfast kitchen. To the first floor there are four well proportioned bedrooms, en-suite and a family bathroom. Externally there is a good size driveway leading to garage, with delightful gardens front and rear.